As a global information and communications technology (ICT) leader, providing ICT infrastructure, products and integrated solutions in more than 170 countries and regions around the globe, Huawei makes every effort to offer highly efficient and energy-saving green products and solutions Tweet This!, to help customers reduce both their operating expenses and carbon emissions. 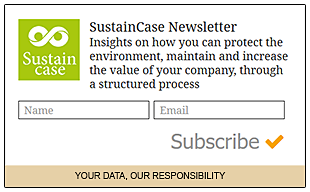 This case study is based on the 2016 Sustainability Report by Huawei published on the Global Reporting Initiative Sustainability Disclosure Database that can be found at this link. Through all case studies we aim to demonstrate what CSR/ sustainability reporting done responsibly means. Essentially, it means: a) identifying a company’s most important impacts on the environment, economy and society, and b) measuring, managing and changing. In its 2016 Sustainability Report Huawei identified a range of material issues, such as broadband inclusion for all, compensation and benefits for employees, product safety, actively responding to cyber security challenges, communications for all. Among these, reducing the carbon emissions of its products and solutions stands out as a key material issue for Huawei. To assess and prioritise material topics, identifying those of highest concern to its stakeholders, Huawei engaged with stakeholders through surveys, asking them to rank topics according to importance. What actions were taken by Huawei to reduce the carbon emissions of its products and solutions? Huawei researches ground-breaking energy-saving technologies, to support future network developments. Accordingly, it actively collaborates with universities and research institutes and made progress in several 5G areas, including Massive MIMO, network architecture, air interface and all-digital radio frequency technology. These technologies decrease end-to-end network costs, while increasing spectrum utilization and energy efficiency. Huawei seeks to boost the energy performance of customers’ networks through network modernisation, providing energy conservation solutions. 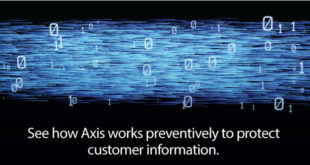 It helps customers redesign networks according to actual conditions such as traffic distribution, networking characteristics and the power consumption of equipment and infrastructure. In addition, by means of low-power chips, efficient cooling of power supply, improved software design and dynamic energy management technologies, Huawei increased, in 2016, the energy efficiency of core routers and wireless base stations by 18% and 20%, compared to 2015. 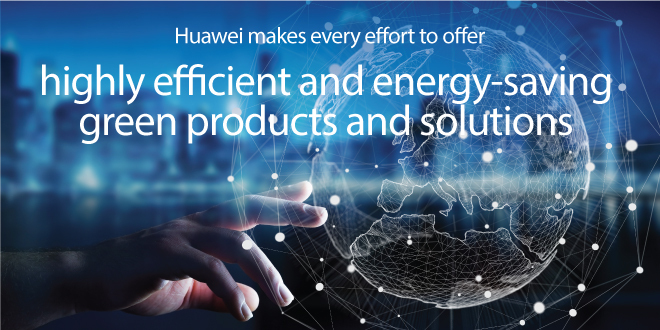 Through open collaboration, Huawei drives the research and development of energy conservation and carbon reduction standards across the ICT industry. In 2016, Huawei was an active member of and major contributor to the energy conservation and carbon reduction standards teams of ITU (International Telecommunication Union), ETSI (European Telecommunications Standards Institute), 3GPP (3rd Generation Partnership Project) and CCSA (China Communications Standards Association), submitting various proposals. These proposals relate to base stations, radio access networks, routers, servers, NFV, and circular economy in the ICT sector. Note to Huawei: With each case study we send out an email requesting a comment on this case study. If you have not received such an email please contact us.